One of the most important parts of any infants’ child their safety. One of the biggest ways safety can be offered to our little ones is a car seat. A car seat is required by the law. The laws keep changing and progressing. There are several things that parents need to remember when placing their little ones into a car seat. Car seats are something that every baby can’t keep clean. It becomes even more difficult as our children become older. We begin at some point to offer our children snacks while in their car seat. One of the most common snack foods offered to our toddlers are fish shaped foods. There are some specific steps that can help a person to wash their car seat. Take picture so that you remember where the straps belong. Vacuum the car seat out. Wash cover in washing machine in a cold and gentle cycle. Place the cover over a chair, or hang dry – DO NOT put into dryer. Look at picture and replace buckles. Replace car seat into car and tighten straps. These steps can help when you are ready to clean the car seat. Complete this cleaning when you do not plan on using the car seat for at least 2 days. There are some mistakes that people make when using car seats. Many times we as parents become complacent when it comes to our car seats. That complacence can cause troubles for the safety of your child. Proper use of seat with proper child. It is important to watch the guidelines that car seat manufacturers. Be sure that you don’t turn your car seat to a forward facing position to early in your child’s life. Also, be sure that if you are meant to have the car seat at a 45 degree angle then place it there. Tethering is very important. When you are using a forward facing seat it is important to anchor the car seat. 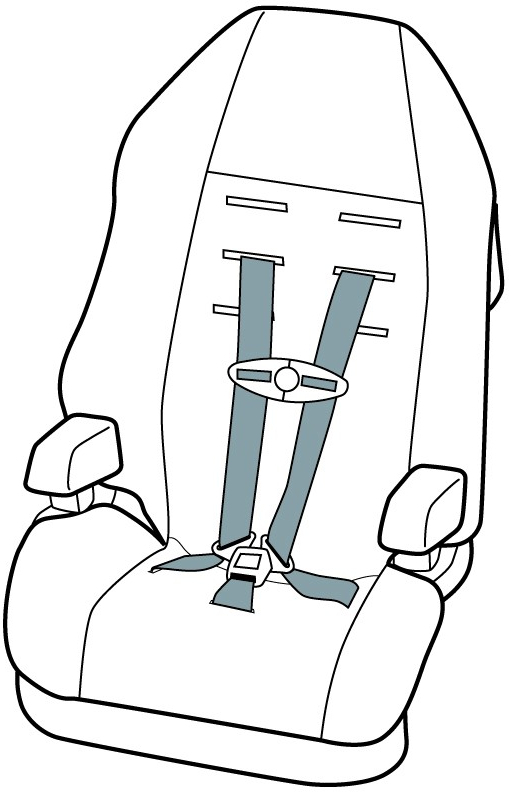 Most commonly cars now have car seat anchors on the back of seats. Straps are extremely common mistake. Straps can be pinched or twisted. If your straps are not evenly distributed then you will find that they are not as secure. Latches can make or break your car seat safety. Latches are important to because once you place them where they belong you will learn that your babies are more secure. Car seats should be secured with either the seat belt or a latch, however NOT both. Also, be sure that the latches are strait. Clips and connections are important. Keeping them straitened and in the proper place can ensure the safety of your child. The chest clip needs to be located on the chest level at the armpit area. Along with keeping the straps strait and lying flat, the clip in between their legs needs to be lying flat against their thighs. Car seats are extremely important to the safety of your child while driving in the car. Keeping your car seat clean, and used correctly can help to make your life much easier with your children. This Father Held His Two Month Old Baby In His Lap…Then She Spoke! This will melt your heart because most of the time babies are busy crying, feeding and burping, etc. But this baby is something special! After only a few seconds, she is actually able to repeat back exactly what her dad said! You have to see it to believe it. A baby’s brain is like sponge. It has a lot of space for learning and just absorb everything the baby is exposed to. This is why we have to be careful about the things we say and do in front of our babies because not only do they pick up the good things, but the bad things. Nevertheless, it’s so cute how the baby was able to successfully express his love for her daddy! Continue on the next page to watch this incredible video! “Divorce affects family members in many different ways, both positive and negative. While many children can foster healthy relationships post-divorce, some may experience challenges maintaining future relationships after coping with their parents’ divorce. 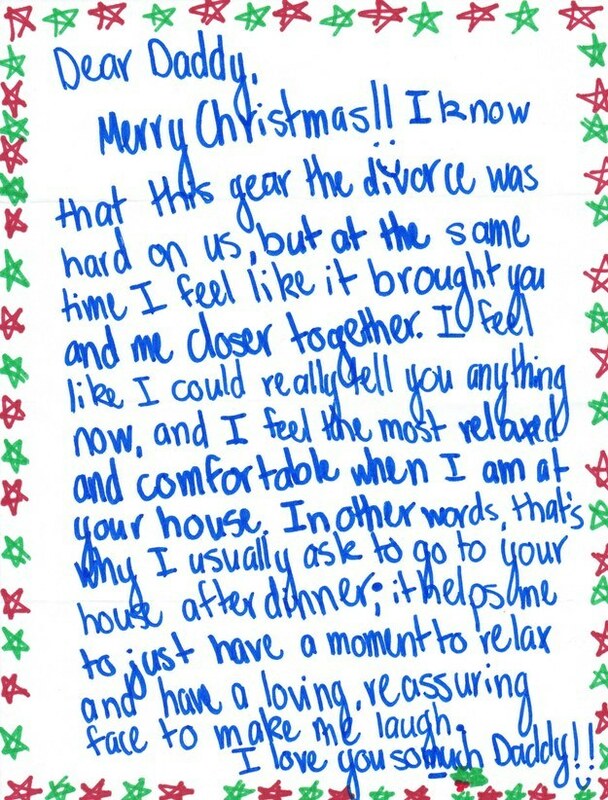 Imgur user nuthabrickindawall says his 14-year-old daughter gave him this touching letter for Christmas. Dear Daddy, Merry Christmas!! I know that this year the divorce was hard on us, but at the same time I feel like it brought you and me closer together. I feel like I could really tell you anything now, and I feel the most relaxed and comfortable when I am at your house. In other words, that’s why I usually ask to go to your house after dinner; it helps me to just have a moment to relax and have a loving, reassuring face to make me laugh. I love you so much Daddy!! Top 5 Tips For Parents With An Introvert Child…They're Special! Want to Lose the Pregnancy Fat for Good? Real Moms Tell You How! Kick That Pouch and Get Rid of Jiggly Skin! Okay so you might have been told that breastfeeding will help you lose some weight. A lot of women, who have breastfed their children for over 1 year, still complain of excess fat. Your child is already joining preschool, but you still feel pregnant. Fat isn’t good. It isn’t attractive. \ So when I gave birth, the elderly in my family used to say, “Don’t worry, you’ll get back in shape”, “Breastfeed and you’ll lose weight”, “Eat for your baby, not for yourself!” okay I had had enough. I had to get back in shape and I had to do it quick. My fat belly made me look obese and my clothes…well let’s just say, nothing fit. I left behind myths and superstitions and began communicating with other women about losing pregnancy fat. Here are 10 amazing techniques to become slim again! Susan lost 25 pounds in 4 months! So many times when we think of mentoring we thing of those children who are having trouble. It could be trouble in school, or trouble at home, or even trouble with the legal system. However, mentoring has many other things that can prove useful. Mentorship can be valuable to any of our youth. There are many reasons that our children should have mentors. Children of every background – troubled or happy – deserve the ability to have mentors. Mentors can help to improve how a child deals with the challenges they face day to day. Mentors are able to offer friendship as well as guidance through any situation. Having mentors can help our children stay in school. It even offers them the ability to obtain better grades. Many children who are having trouble in school have no one to talk to and that means they become separated and even insecure at times. Not only can having someone older and wiser help with school matters, they can also help with the physical school work when children are having troubles with their grades. be one the most important things that can be done. This can decrease their chances of harmful behaviors like smoking, illegal drugs, and even drinking. Mentors have the responsibility to help uplift their mentees to be confident in who they are. Providing them with a safe person to talk to, or an individual whom they can come to with any personal problems. Mentors are able to guide our youth in their beginning steps into the workforce. Mentors help their mentees to help realize their career goals as well as the things that they will need in order to succeed. Mentors have the ability to help their mentees to seek the jobs. There are several formal companies that are designed to match children of all ages to a mentor that can help them the best. As a mentor you have the ability to decide if that child is a good fit for you, however many of the services offer that to you as well. Big Brothers Big Sisters – For the last 110 years Big Brothers and Big Sisters have determined to help change children’s perspective and offer opportunities encouraging them to reach their goals. Now they offer mentors in all 50 states, as well as 12 different countries. Sarasota YMCA – They offer a little bit of time per week to help change the future of a child’s life. This program allows the mentor to share their knowledge as well as experiences with their mentees. 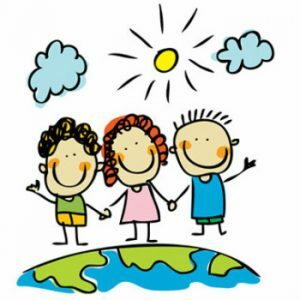 Take Stock in Children – Since 1995 they have been offering mentors to our children. These mentors offer guidance, encouragement, support, as well as seeing their mentee at last an hour each week depending on the needs of the child. Every mentor has the responsibility to encourage, support, and educate. Mentors can be everything to that child, their safe person to depend on when their lives are crazy. Every child’s life goes crazy no matter what their income, family status, or gender. Every child should be given the opportunity to find that mentor to help them. 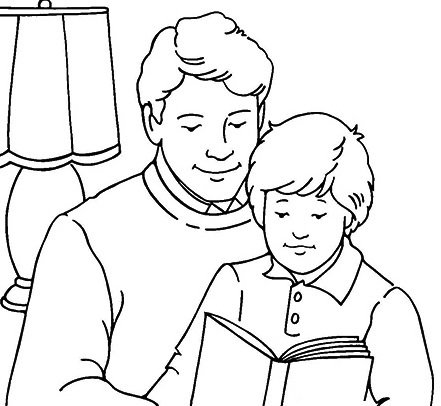 Top 5 Good Parenting Tips From Parents – "It's Not Easy, But It's Worth It!" Ruby Holt – 100 Year Old Woman Who Saw The Ocean For The First Time In Her Life! Children Should Be Able To Digest Constructive Criticism, Here's 3 Ways To Make It More Constructive!